Christmas atmosphere with “Professors reading Christmas Charols“ – ISWI e.V. Every year professors conjure up a Christmassy atmosphere in the bc-Club. “Professors reading Christmas Charols” has already become a tradition of ISWI e. V.: under candlelight with mulled wine and homemade Christmas cookies, three lecturers read a self-chosen story. Univ.-Prof. Dr. iur. Fechner started the cosy evening with the story “Christmas is everywhere” by Hans Begel. The second story, read by Prof. Dr. Wolling, was a literary work by Franz Kafka “Ein Bericht für eine Akademie” (“A Report for an Academy”). After these two exciting and funny stories, Dr. Gerlach concluded the Christmas evening with two amusing short stories by Axel Hacke. “Professors reading Christmas Charols” not only serves as a prelude to Christmas and a cosy get-together, but also as a fundraising event. The incomes of the entrance money and the donations are dedicated each year to a new good purpose. This year the donation of 104,50€ goes to the Desert Flower Foundation. The founder of this foundation, Waris Dirie, is the patron of the upcoming ISWI 2019 and is committed to fighting genital mutilation of girls. With this in mind we would like to thank the three lecturers, Univ.-Prof. Dr. iur. 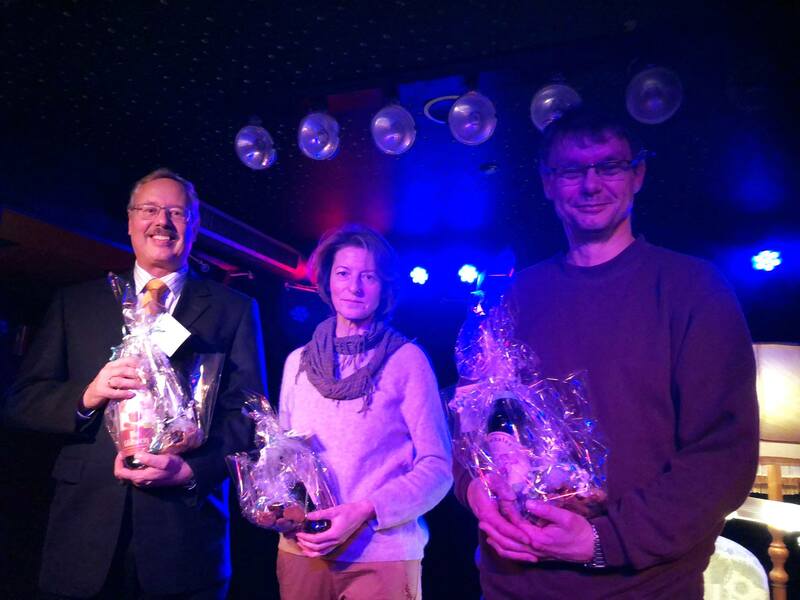 Fechner, Prof. Dr. Wolling and Dr. Gerlach, for their stories, the bc-Club for the venue and all the students who spent the evening with us for a successful and pleasant evening! Thank you very much! Furthermore, we wish you all a wonderful Christmas season and a Happy New Year 2019!